According to the New York Times, over 2.7 million tourists travel to Costa Rica every year. And it’s not hard to see why people from around the world flock to this wonderful country to enjoy many of the best places to travel in Costa Rica. After all, Costa Rica is a country with incredible biodiversity, breath-taking forests, pristine white beaches and outstanding valleys. There are few places in the world with a greater variety of weird and wonderful natural beauty. As the summer holidays approach us, many people are starting to think about where to spend their dream vacation this year. With so many places in Costa Rica to visit, it’s difficult to know where to go. That’s why we’ve put together this list of the best places to travel in Costa Rica this year. You might think that the eruption of Arenal Volcano as recent as 1968 would put off tourists. But quite the opposite has happened. Instead, people come from around the world to witness to the lava flows omit from the volcano. The volcano is shaped almost exactly like a cone. It’s surely one of the natural wonders of the Costa Rica, and the world. Second on our list of the best places to travel in Costa Rica is La Fortuna Waterfall. Located in the middle of a rainforest at the edge of the Arenal Volcano, La Fortuna Waterfall is only an hour’s trek from the local town of Fortuna. However, it’s definitely worth the trek, with one of the most breathtaking waterfalls in South America. The waterfall drops into the Arenal River from a height of over 75 meters. Even though there’s a small fee to enter, once through, you are welcome to swim in the water stream and enjoy the rapids at the side of the waterfall. Are you searching for a romantic tropical paradise? The Guanacaste beaches and its tropical forest (Rincon de la Vieja area) could be the perfect place to enjoy stunning views, untouched beaches, and blue waters. You can swim or surf in the water, or simply relax and sunbathe on the beach. The Guanacaste beaches are found in the North-West of Costa Rica. There are many different beaches to choose from, however, Tamarindo stands out as one of the best places to travel in Costa Rica. This because it’s the home to the rare species of the leatherback turtle. If you don’t want to miss this incredible creature, make sure you visit between November and April before they return to the sea. Have you ever seen the 1990s classic movie, Jurassic Park? This movie was inspired by and filmed on Cocos Island. But don’t worry there aren’t any dinosaurs here. The island is found off the coast of Costa Rica. It is the only Pacific Island in the country with a rainforest. With deep waters and strong currents, scuba divers flock to the island to experience swimming with dolphins, eels, and hammerhead sharks. However, unfortunately, you’re only allowed to visit the island for a day, as nobody is permitted to stay over on the island. The Tortuguero National Park is definitely one of the best places to travel in Costa Rica. But it’s not without travel problems. After all, you can only reach the national park via boat or plane. However, it’s totally worth the trouble to experience the incredible level of biodiversity that exists in such a concentrated area. There are mangroves, lagoons, beaches and rainforests in the national park. If you’re lucky you get to glance at some of the most endangered and beautiful creatures in nature, from the Green Sea turtles to the West Indian Manatee. Undoubtedly, one of the best places to travel in Costa Rica, Poas Volcano National Park is where you can find an active volcano. The most recent example of its eruption was 1910, but the volcano and national park remain a tourist hot spot. You can enjoy a wide variety of trails to go hiking with stunning scenery over the beautiful forested land. At 400 sq km, Corcovado National Park is the largest and most famous national park on our list of the best places to travel in Costa Rica. The main attraction for tourists and eco-travelers isn’t the size of the park, but the incredible biodiversity and wildlife that lives there. According to National Geographic, Corcovado National Park is “the most biologically intense place on Earth”. The biodiversity includes the American crocodile, sloths, jaguars, and anteaters. Santa Teresa is only a small fishing village. However, it’s regarded by many as one of the most stunning places in the country. Incredibly, Santa Teresa manages to attract dare-devil adventurers while maintaining a sense of peace and calm. Whether you’re into hiking trails, horseback riding or surfing the waves, Santa Teresa has something to offer every traveler. The Monteverde Cloud Forest is famous for its eco-tourism and sustainability credentials. The reserve attracts over 70,000 visitors annually. You can enjoy a guided tour by an expert who will allow you experience some of the planet’s most incredible nature. In this single nature reserve, there is 2.5 percent of the earth’s biodiversity across just over 10,000 hectares of land. This amounts to 2500 plant species, 100 different species of mammal, 400 species of bird, and finally, over 120 reptilian species. Manuel Antonio is another village with a national park. The park is home to the wonderful squirrel monkey along with many other beautiful and rare creatures. Furthermore, the local town offers tired travelers are a place to relax and enjoy a life of luxury. With many outstanding hotels and restaurants to give you a sense of Costa Rican cuisine and culture. 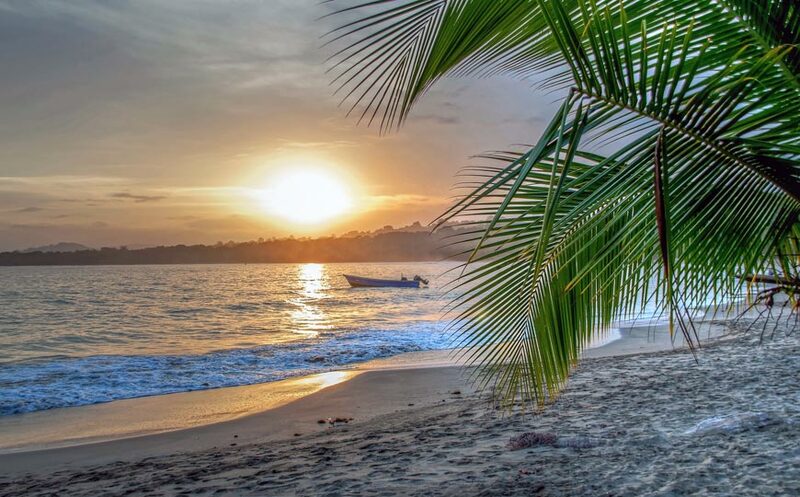 Because there are so many great places to travel in Costa Rica, planning a trip there can be quite daunting for first-time travelers to Costa Rica. Booking a professional tour is a great way to avoid the stress, and to ensure that you and your fellow travelers get the exact vacation you wanted. Start planning your custom trip with us today!